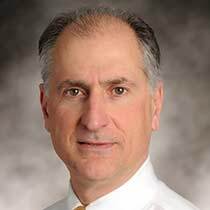 Domenick (Nick) Ranieri retired from the American Express Company in 2015 after 32 years of service. In his last role as Senior Vice President Business Strategy Execution, Nick led a global team that collaborated with business leaders across the enterprise to implement high priority strategic and tactical initiatives for multiple businesses and functions. Prior to holding that position he spent a number of years in Finance as CFO of multiple business units where he was responsible for financial planning, strategic resource allocation, pricing, M&A and business re-engineering. Nick also led operational risk, privacy and MIS teams. Prior to American Express, Nick held financial positions at Colgate-Palmolive and the Steinway Piano Company. He is a graduate of Archbishop Molloy High School and holds an MBA in International Finance from St. John’s University. During his career Nick has served on and worked with boards of directors which provide him with valuable governance, leadership and collaboration experiences that he frequently leverages in his advisory and volunteering endeavors. Nick and his wife Mary have been parishioners of Our Lady of the Blessed Sacrament in Bayside Queens for 30 years. During that time he has seen his 3 children graduate from OLBS School, has served on the parish Finance Council, is a former Parish Trustee and Home School treasurer and has served in a number of other volunteer roles including leading the Pre Cana program and the Alive in Hope and Generations of Faith campaigns for the parish.